After surviving a fall off a cliff, Yona and Hak are rescued by a doctor named Yun and a priest named Ik-su. 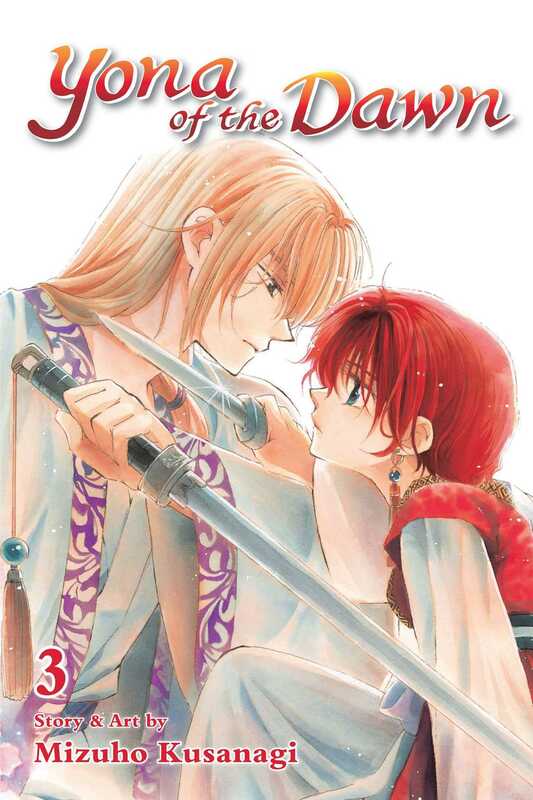 Yona learns from the priest that she must seek out the four warriors of legend to aid her in taking back her kingdom. Yun decides to accompany Yona and Ik-su directs them to where the first warrior has been hiding. I guess I was a little disappointed by the standard “chosen one” “prophesy warriors” thing as it’s pretty standard fantasy manga fare. But Yona is keeping me invested in this story. As she is gradually comes into her own, we can see her character change in a realistic manner. She wants to learn how to defend herself, learn more about her kingdom, and earnestly cares about the people helping her. This particular volume felt bogged down in backstory and explaining but that’s necessary to get in all these new characters and their motivations. I think this series stays firmly at a 3 out of 5 so far.